Chocolate City CEO, Audu Maikori, who was arrested on Friday by the police over his January tweets about alleged five students of College of Education, Gidan-Waya being killed by Fulani herdsmen, was freed yesterday Saturday. Though the music producer later retracted his claims, saying he was misled by his driver, Punch reports that Governor Nasir el-Rufai was not pacified by his apology as he complained about the tweets to the police authorities who ordered Audu Maikori's arrest. that he would be prosecuted for making an inciting statement that was capable of inflaming the crisis in Southern Kaduna. The Force Public Relations Officer, Jimoh Moshood, said Maikori was being investigated over his inflammatory tweets, adding that he would be arraigned in court soon. “He (Maikori) is under investigation. 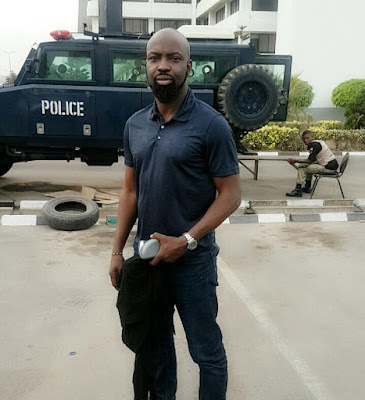 He will be arraigned in court on completion of investigation,” Moshood stated on Saturday.Maikori, an indigene of Kaduna, was picked up in Lagos and brought to Abuja where he was detained for 24 hours before he was granted bail. His arrest generated mixed reactions on social media with Nigerians demanding for his release.